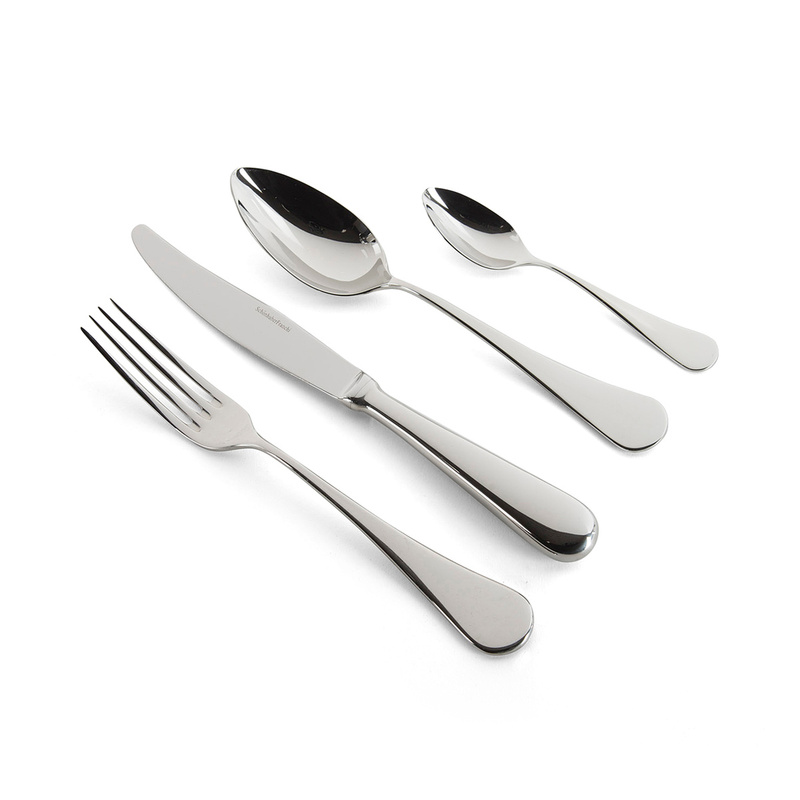 The Reggia cutlery set is one of the most iconic creations by KnIndustrie, and it features very simple and elegant lines. As typical of the brand, Reggia is made in stainless steel, a material of exceptional quality and very suitable for this type of item. From an aesthetic point of view, all pieces in the set feature simple and harmonious lines, softly rounded on the handle, which ensures an elegant table setting suitable for the most luxurious and refined dinners. The set consists of 6 forks, 6 spoons, 6 knives, and 6 teaspoons.